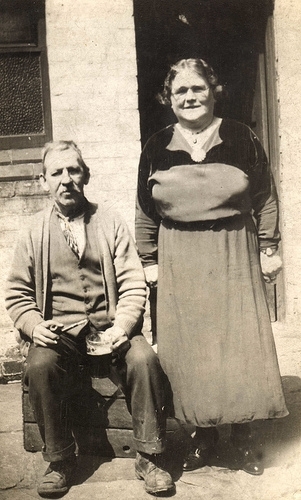 Today’s old photo is of my great-grandfather, Bill Hodgson. It seems to me that everyone in my family was called Bill — my Father was ‘Bill’, his father was ‘Bill’ and here is his father, Bill. When I first saw this photo I assumed that the woman is his wife. In fact she’s the landlady of The Trencherfield Inn in Wallgate, Wigan. It seems pretty clear to me that Bill was no stranger to the Trencherfield Inn! According to the national archives there were 12 public houses in the 1km long Wallgate in 1861!